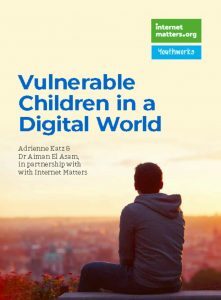 Youthworks, has published a report in partnership with Internet Matters, co-authored by Youthworks Director Adrienne Katz and Research lead Dr Aiman El Asam – showing that high risk online experiences can be anticipated in children who are vulnerable offline. This report explains what to look for and how online safety education could be approached in a new way. It aims to change the conversation around teaching children and young people about digital life and help the most vulnerable. 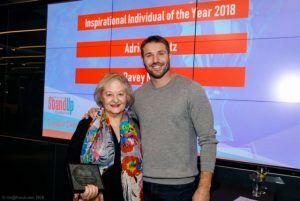 Adrienne Katz is honoured to have been awarded ‘Inspirational Individual of the Year’ by the Ben Cohen StandUp Foundation in the StandUp Champion awards. and 2. Expect Respect, a HEFCE funded programme at Sussex Coast College to address hate crime and sexual harassment. A paper for Internet Matters on what’s needed to help vulnerable children in a digital world. Launch 12th February. 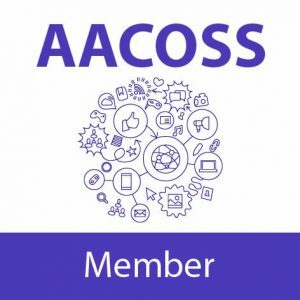 Our research partnership with Dr Aiman El Asam published vulnerable young people and their experiences of online risk in the journal, Human-Computer Interaction. New professional association. Adrienne Katz has joined the Association of Adult and Child Online Safety Specialists. The CYBERSURVEY is an annual online survey exploring young people’s digital experiences. 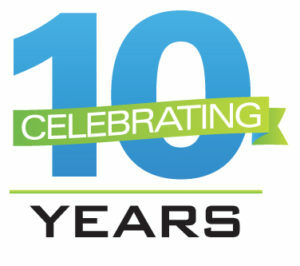 It is now in its 10th year. The survey covers all aspects of online life for 10-16 year olds. There are vital messages for educators on trends, staff training, Equality rmonitoring and safeguarding. Your action plans will be informed by this annual survey. FREE Cybersurvey reports and briefing papers or read about our academic research partnership. Do you want to evaluate your service? Children, parents and staff consulted. Young people respected and engaged. Do you need expert advice and support without committing to an employee post? Short term contracts and projects are regularly undertaken for a range of services, charities and local authorities. Youthworks is leading a tream developing new Anti-Bullying Guidance for Wales. With colleagues, Jonathan Charlesworth of EACH, Robin Richardson of Insted and Carole Phillips formerly of Crickhowell High School in Powys. New CPD accredited course offered. In your school for staff or join a training day with other schools. A bespoke version of this course is offered for workers in the care sector. Next available course: March 27th, London. Contact Osiris Educational. This popular course is available as a one day course. Delegates are given access to regular updates, new resources and trend alerts.